Our Chubby Chunk Loaves allow you to take part in the creative process!! Your first scent choice will be what fragrance your chunks are scented in, the second scent choice is what fragrance your overpour scent will be. 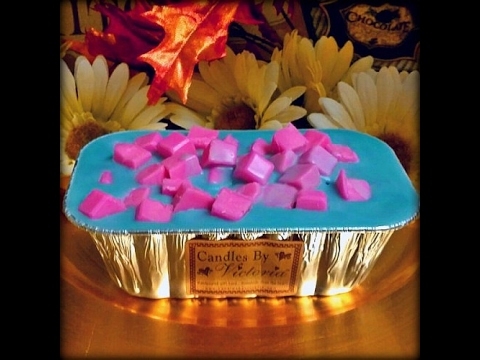 Each loaf will come in the color of whatever scent choices you choose, for example if you choose Pink Sugar chunks and White Ginger overpour, your chunks will be pink and the overpour will be white, and finally we allow you to give your new creation a name!! Have fun and we can't wait to see what you come up with!! 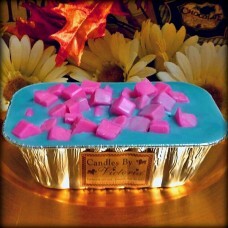 Chubby Chunk Loaves are highly scented wax that are used in your Tart Melters. Just cut off the amount you'd like and add to your melters and enjoy the aroma as it fills your home without the worry of a flame. Great for offices and other places where burning a candle is not an option. 16 oz. to 20 oz. We pack them full! !